If you’re starting to think about building (or re-building) your private practice website you may be wondering which website platform is the best. From robust content management systems like WordPress to more simplified templates like Weebly, it can be easy to get overwhelmed by the options for building a website. So if you’re unsure which website platform to use to build your therapy website, this comparison guide will show you the breakdown of some of the top platforms available today. Short on time? I created a free resource so you can quickly compare each website-builder’s good points, bad points and full pricing charts. Just click here or on the image below to download. WordPress is a content management system containing all the software you would need to create a fully-functional and robust website and blog. To be clear, I’m talking about the version of WordPress you’d download from wordpress.org and use on your own hosting server and not the web-based service found at wordpress.com. Click here to learn about the difference between wordpress.com and wordpress.org. Let’s weigh the pros and cons of using WordPress for your private practice website. It’s free: Using the WordPress software is free when hosting the files on your own server. You just have to pay for a hosting account and domain name. Use with your own custom domain name: When you sign up for a hosting account, (I recommend iPage (affiliate link)), a free domain is usually included and part of the set up. This gives you the chance to brand your website with a professional-looking URL. No Ads: There will be no ads on your website when you self-host a copy of the WordPress software, unlike building your website on wordpress.com. Nearly unlimited amount of themes: WordPress is what’s called “open source”. This means anyone is free to create themes and plugins to work with the WordPress software. This means that there are thousands of options to choose from when picking a theme and adding new functionality to your website. 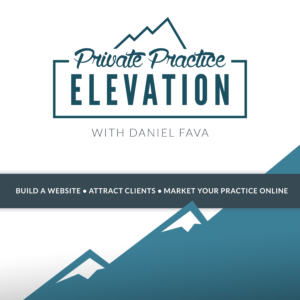 For some great themes you can use with your private practice website, check out this post. Freedom to grow with your business: Because there are so many themes and plugins that you can add to your website, you’re only limited by your imagination. If there’s something new you want your website to do, you have access to all the code behind the scenes, so you can always find a plugin or developer to make it work with your website. Quick Installation: Because of the popularity of WordPress, most web hosting providers now offer “one-click installation”. This means installing WordPress on your hosting server is just as easy as signing up for the free account at WordPress.com. For a guided tutorial on setting up a hosting account and installing WordPress, check out this post. Use with a web host of your choice: You have the freedom to choose which web hosting service (GoDaddy, Bluehost, iPage, etc) you’d like to use and you’re always free to transfer your WordPress website to another host if you need to. You own everything: If you want to move your website to a different web host, or want to backup your database, you have the freedom and access to do what you want/need with your information. Extra responsibility: Because WordPress is hosted on your own server, you’re responsible for keeping the software, along with any themes and plugins, up to date. This is often as simple as clicking a button, but problems do arise when updates conflict with plugins and themes. Steeper learning curve: Because you have full control and access to all the settings, there’s the potential to get overwhelmed by it all. More time will be required on the front end to understand the WordPress dashboard and how to edit your website. Things can break: Because there are more moving parts, you can potentially break your website when making updates or changing the wrong settings. Creating backups of your website and having access to customer support via your hosting provider becomes more important (but, of course, there are plugins for that!). No direct support: Unlike other website-building services, WordPress is a collection of files, not an actual service, so there’s no support line to call for help. Instead, you’ll rely on the online community and forums built around WordPress should you need support. WordPress is considered “open-source”, which means the software is completely free to use by anyone. Anyone can take the WordPress core files and add new plugins to it. Most plugins are also free, but there may be a cost involved in the really fancy and robust ones. So the only initial cost to using WordPress is your hosting account and a premium WordPress theme, which is optional (free themes exist too). 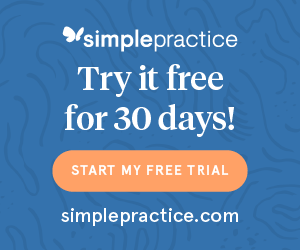 Squarespace is a user-friendly website-builder you can use to create a fairly stunning website for your private practice. It’s completely web-based, so there is no code or software to install and hosting is part of the Squarespace service. The standout feature of Squarespace is their attention to design, with stunning templates and great user experience for both viewers of their websites as well as you, the editor. SEO features: Squarespace gives you the ability to write custom titles, URLs and meta descriptions for each page you create, helping you optimize your website for search engines. Style editor for customization: You can change the colors, fonts and various features of your template, helping you make your website unique and reflect your tastes or brand. Customizable content layouts: Similar to drag-and-drop builders found in WordPress, you can create custom page layouts with Squarespace’s LayoutEngine and Content Block system. Edit directly from your website: This makes editing easier as you can make changes right on your live website and know exactly what you’re editing. Built-in ecommerce features: Squarespace makes selling products on your website seamless with a host of ecommerce features such as payment processing, product variants, analytics and pretty much anything you’d expect from an ecommerce platform. Offers single page design: If you just need a simple one-page website for your therapy practice, this is a great option for you. Limited number of templates: I can pretty much pick which websites are Squarespace websites as many people use similar templates. Because the amount of templates (although they look amazing) are limited, you run the risk of your website lacking a custom quality. Website editor can be cumbersome at times: Sometimes you run into the “I just want to move this picture to the right side but I just can’t figure it out” type of scenarios. The templates look great, but customizing layouts can be less-than intuitive at times. Price: Squarespace offers two tiers for their service: a $12 monthly plan and an $18 monthly plan. You’re paying for a dedicated service and support, so the features can be a little limiting for the price you pay. With each plan comes unlimited pages and storage. The Business plan ($18/month) gets you some extra marketing features such as e-commerce capabilities and promotional popups. You do get a free domain when you sign up, but this is only for one year. After that the price jumps to $20 a year, which is much higher than many other domain registrars. Email list limitations: Squarespace only integrates with Mailchimp for building a newsletter. Squarespace has two different plans, depending on whether you’re building a website or an online store. Remember: if you purchase a custom domain through Squarespace, you must add on a $20/month charge after the first year. Wix has become an increasingly popular website builder in the last few years. Wix gives you hundreds of templates, unlimited pages plus free hosting starting with their free plan. They have a structure very similar to wordpress.com, where you can then pay for more professional features like using your own domain name, removing Wix ads and getting more storage. Beautifully designed templates: Wix offers hundreds of designs geared toward a vast swath of industries, allowing you to find something unique that will suit your private practice needs and personality. Easy to use drag and drop editor: This allows you to create custom layouts and move elements around to where you want them to be, all without having to know code. Where some editors limit the amount you can move elements around, Wix’s editor is quite flexible. App Market: Choose from hundreds of third-party apps to add new features to your website, such as online booking, event calendars and newsletter opt-in forms. SEO features: You have the ability to create custom titles, meta descriptions and alt tags on web pages. Creative freedom: Wix makes it easy to move elements of your website around and control how and where things appear. Dedicated support and plenty tutorials: Wix offers great support if you need help. They also have a large library of tutorials to get you started building your website. Depth of menu navigation: You are limited to two levels of navigation. If you plan to have many nested pages on your private practice website, you may find this limiting. You can’t change your template: Once you set up your website and choose a template, you are not able to change to another template. Other services, like WordPress and Squarespace, let you change with a few clicks. Too much freedom may break your design: Because you can easily move elements around, you run the risk of creating a monster of a web page, lacking consistency or rearranging layouts by mistake. Price: In order to remove Wix ads and use a custom domain with your website, you’ll have to pay for the $11 a month Combo plan, which is limited to 2GB of bandwidth and 3GB of storage. Connect Domain: $5/month lets you connect your own domain but will not remove Wix ads. Remember: you’ll still have to pay for the domain through a service like GoDaddy. Combo Pan: $11/month removes the Wix ads and gives you a little more bandwith (2GB) and storage (3GB). Unlimited Plan: $14/month adds unlimited bandwidth, 10GB of storage plus some extra apps (Site Booster and Form Builder). eCommerce Plan: $17/month gives you an unlimited amount of bandwidth and 20GB of storage plus some online store functionality and the features of the lower tier plans. VIP Plan: $25/month will give you first priority support, unlimited bandwidth, 20GB of storage, professional site review, plus the features of the lower tier plans. Download your free quick-guide PDF resource so you can easily see how each website-builder stacks up with the others. Weebly promises to get your website to the finish line faster by making the process as simple as possibly. Let’s take a look at some of Weebly’s features and the pro’s and cons of using their service to build your therapy website. Super easy to use and get started: There’s pretty much no learning curve with Weebly. You can sign up for a free plan and get started in no time. Flexible and stylish designs: Weebly offers some beautiful modern designs for your website. Each is responsive so you know it will look good on all devices. If you’re feeling really crazy, you can even edit the source code for more control. You can easily change templates: Unlike Wix, you can change your website template after you’ve built your website. Unlimited levels of navigation: If you have a complex website, you’ll be able to add as many levels to your navigation as you’d like. SEO features: Title and meta description tags are customizable at the page level. You can also edit your ALT tags for images and include a sitemap. App Center: Weebly’s App Center lets you integrate new services and functions into your website. iPad & Android App: You can easily edit your website on the go by using Weebly’s own app. Pre-designed page layouts: When staring at a blank page, this feature makes it really easy for you to create a layout that looks great. Just choose from a list of about 40 layouts to get you started. Content export: If you decide you want to take your website elsewhere, Weebly lets you easily export your content. Free domain only lasts for a year: Like Squarespace, signing up for a free domain is only good for a year, after which it will cost you $19.95 a month. Limited amount of templates: With less than 50 templates to choose from, your starting point is similar to many other Weebly-created websites out there. Limited amount of control: Because Weebly is meant to be simple and easy to use, you forfeit the ability to fully control where elements are placed in your website’s layout. Limited Customization: Weebly allows you to adjust font styles and color schemes but if you’d like to customize specific elements, you’ll have to edit the code of your template to do so. Blogging features are basic: While you can include social sharing and schedule your posts, Weebly lacks some basic blogging features like displaying recent posts, related posts and most popular posts. Pro Plan: $12/month gives you the features of the previous plans plus things like site search, video backgrounds, HD video & audio and phone support. Business Plan: $25/month gives you the features of previous plans plus membership registration functionality and extra ecommerce features. If you want to create a therapy website with very minimal effort, letting someone else do the heavy technical lifting, then this could be a great solution for you. Their process is pretty simple: sign up, choose a template and then work with a developer to customize the template to your liking. The whole process takes about 60-90 minutes of your time and your website is launched in 2-3 weeks. Boom! The process is completely streamlined: Brighter Vision will work with you the whole way to get your website up in just two weeks. You get to work closely with a designer to customize your website: Brighter Vision takes a concierge approach to building websites, so you’ll work with someone to customize the colors, fonts and images to make your website unique. Built on WordPress: You get the many benefits of having your website built on one of the most popular and robust content management systems there is. Yearly SEO audits: Each year, Brighter Vision will provide you with an SEO audit to make sure that Google knows what your website is about. It’s hands off: If technology just isn’t your thing, all the heavy work is done by Brighter Vision, you just give them the content and direction they need to build your website. Ongoing support: Because it is a monthly service, you get the benefit of having ongoing support for those times you want to make changes, install plugins and make backups of your website. When stuff breaks, you won’t have to pay anything extra to get back up and running. May have to rely on their developers for changes: This might actually be a pro for some folks, but because you’re paying to have someone manage your website creation and editing, making changes may take longer as it requires you to rely on Brighter Vision to make them. However, because it is built on WordPress you can learn to make certain updates yourself. Limited number of templates: While you can customize colors, fonts and photos, you’re limited to a certain number of templates, so your website may still end up looking similar to many others. Pre-written content may lack your “voice”: Since Brighter Vision will handle much of the content creation of your website, your content may lack your personal voice that clients will experience in therapy. Price: Brighter Vision has a $100 setup fee (waived if you pay yearly) and costs $59/month. That’s $700 a year. If you’re not utilizing their services consistently, that may be a steep price for you. Start Plan: $59/month + $100 setup fee (waived if you pay yearly) gives you the suite of services they offer, including ongoing SEO, 10 stock photos and unlimited tech support. Similar to Brighter Vision, TherapySites is another all-in-one website design service. No setup fees: You just pay the $59/month service fee. Live in minutes: You can quickly create a website, with pre-filled content in VERY little time. Downloadable client form templates: You can easily create forms for your clients to access and download. Easily edit your website: TherapySites puts you in complete control of making changes and updating your content without the need to rely on a designer. Simplicity: All you have to do is sign up, choose a template and start updating your website with your specific info. Limited templates: With just 15 templates to choose from, it may be hard to create a unique website with TherapySites. Cut-and-paste SEO: Your website comes “pre-loaded with the best keywords for searches related to the therapy industry”. Since Google prefers unique and specific content, this could be detriment to your SEO. You’ll still need to work hard to create unique content. Lack of customization: With TherapySite’s website builder, you will not able to edit any of the code or add any new features beyond what TherapySites editor gives you. No blogging features: TherapySites lacks basic blogging functionality. Blogging is great for SEO, so if you’d like to blog regularly, you’ll still need another website or service to do so. Price: The cost is $59/month and lacks the amount of hand-holding and personal attention that Brighter Vision offers. TherapySites has one plan at $59/month which gives you a website with unlimited pages, ready-to-use client forms, online appointment requests, a domain name, 10 email addresses and more. They also offer an “SEO Boost” package on top of that to offer you ongoing SEO support. With so many platforms to choose from, it can be quite overwhelming to choose where to begin. I created a free quick-guide PDF resource so you can easily see how each website-builder stacks up with the others. In the PDF you’ll get the overview of the pros and cons discussed here as well as each platform’s pricing table so you can understand exactly what you get for the cost involved. 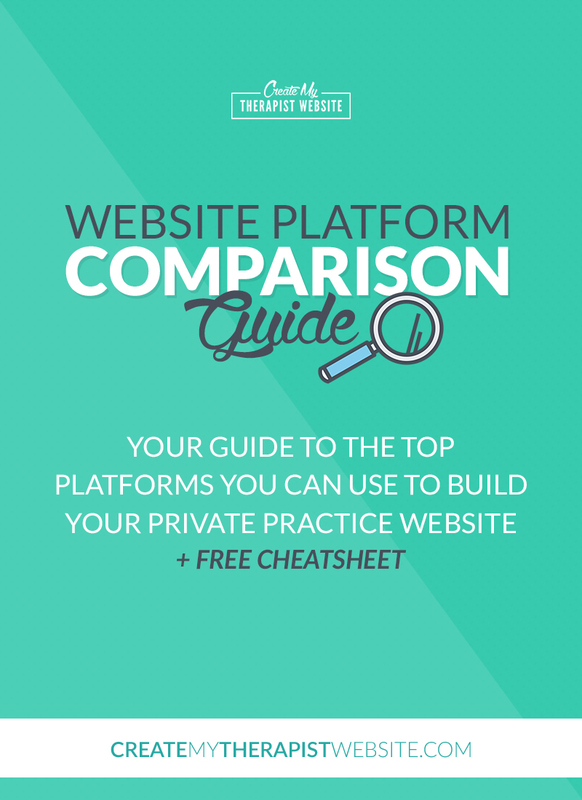 Just click on the image below to download The Website Platform Comparison Guide and start building your private practice website today. I use wix. I like the look of my site but I want to be able to have my blog post elsewhere once I publish it on wix. Is that possible or should I use a different service/site for my blog in order to be able post on my other social media sites?